See below for more information and links to the plugins. 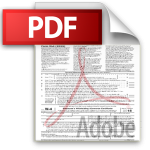 Acrobat is Adobe’s professional PDF authoring and management tool to create fill-in PDF forms. Any version of Acrobat will work with Formidable PRO2PDF, except Adobe Acrobat Reader. Or use PDFescape – a free online PDF fill-in-form creator & editor. Formidable Forms allows WordPress users and designers to build forms fast and simple with a simple drag-and-drop interface to create custom forms or generate forms from a template. 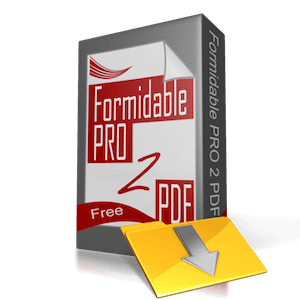 Formidable PRO2PDF works with both the free and Pro versions of Formidable Forms. Does the plugin work with multisite installations? Yes, the plugin works with WordPress Multisite (WPMU) – site limits still apply. Do not activate the plugin from the Network Plugins page, rather each site on the WPMU must activate the plugin individually. Is support offered for the free version? Yes – standard user support is available through the support forum or purchase a key code for premium level support. Does the plugin create PDF files? Not at this time. Currently the plugin populates pre-made PDF form fields with mapped data from Formidable Form and FormidablePro form fields. Future plans include adding HTML to PDF capabilities. Subscribe for updates. 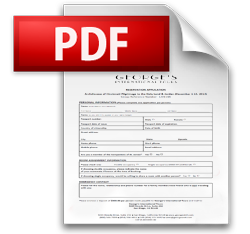 Enter your email address below to receive the PDF attachment in the email. We do not collect emails from this form and we never share or spam users of PRO2PDF. the PDF attached to the email. CLICK HERE for more plugin demonstrations. 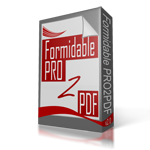 Then activate Formidable PRO2PDF from the Plugins link on the WP admin menu. For a more step by step guide to install a WordPress Plugin click here. Originally designed and coded in 2013 out of a need to print dynamic PDF documents from WordPress forms, Formidable PRO2PDF provided the automation necessary for a small insurance agency to produce more business, with the same number of employees. Today, this Add-on Plug-in for Formidable Forms provides the entire WordPress community with a cost free method of creating dynamic PDF documents – without programming or coding – with one simple shortcode. With the ability to merge all Formidable Form fields into Adobe PDF Form text, checkbox or radio button fields, this plug-in also integrates email attachment functionality with Formidable Form’s Email Notification Actions. Allowing site visitors to send flattened or editable PDF’s to preset or dynamic email addresses based on user input – and with a signature too! Since the May 2015 public release of this plug-in, ongoing development has been driven 100% by user input. From adding a Word .docx output, to dynamically naming the PDF file attachment, new feature requests and support questions have been the driving force for development. If this plug-in does not work as needed for your project, don’t hesitate to ask for help, and if at all possible, we’ll design it to work for you too. How to: Create and Fill PDF Forms in WordPress for FREE! 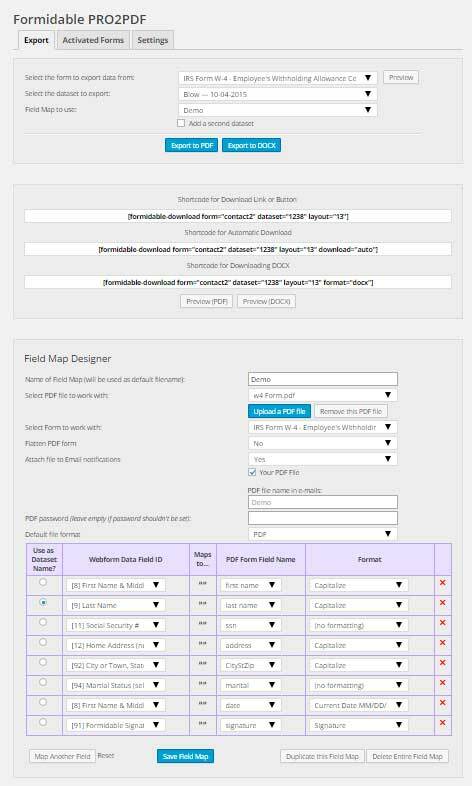 Need Help Creating a PDF, Web Form, or Field Map Layout? Our occasional newsletter with new features, tips and tricks to using the Formidable PRO2PDF plugin. Check out the past issues. We will never spam, sell, or share your email!